Now that we’re living in the information era, parents are turning increasingly to the Internet for advice on how to help a child potty train successfully. Here are some tips for finding credible and trustworthy advice. Check out national professional societies’ and other nonprofit groups’ websites, such as the American Academy of Pediatrics and the Nemours Foundation, for patient or consumer information about potty training. These sites typically can provide excellent advice if it’s a reputable organization. Websites that provide potty training aids (like this one) can be a treasure trove of information on getting started, reinforcing the process and keeping up the potty training child’s good work. 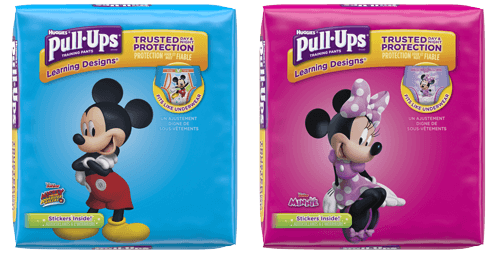 Keep coming back to Pull-Ups.com to check out the array of helpful potty training articles. While browsing Facebook, join The Pull-Ups® Parents Connection to share advice with other potty training parents. Social networking sites allow for easy communication with other parents who have been there and done that when it comes to potty training. Keep in mind that these parents’ knowledge may be limited to what they know only from their own experiences — which may differ from your situation — so be sure to take information you receive through Internet message boards, chats and email with a grain of salt. Websites that provide potty training aids can be a treasure trove of information on getting started, reinforcing the process and keeping up the potty training child’s good work. Your child’s pediatrician may be your biggest ally when it comes to helping your child potty train. If he or she doesn’t have a website with articles or the opportunity to communicate virtually, call the office with your questions or make an appointment. Finally, stay true to your family. Potty training is not a one-size-fits-all process. Online information is best used to give you some ideas, which you can tailor to your own child and family philosophy. As long as something isn’t harmful to your child’s health or well-being, it’s probably worth trying. Learn how to potty train based on your child's personality. No one knows your child better than you! If you and your child are ready, get started with the Pull-Ups® Potty Partnership, a personalized program that lets you partner with your child. It’s not only a comprehensive way to potty train, but a fun and simple one too!